Meghan Markle marked her first public appearance alongside Queen Elizabeth II on Monday March 12, taking part in the Commonwealth Day 2018 celebrations alongside the royal family. The actress accompanied her fiancé Prince Harry and the Duke and Duchess of Cambridge, Prince William and Kate Middleton, to the U.K.’s biggest annual inter-faith gathering in Westminster Abbey, gaining attention for her ensemble. Markle showed up to the Commonwealth Day Service in a cream-colored coat by British designer Amanda Wakeley ($1,199; orchardmile.com) and a fashion accessory beloved by another member of the royal family. 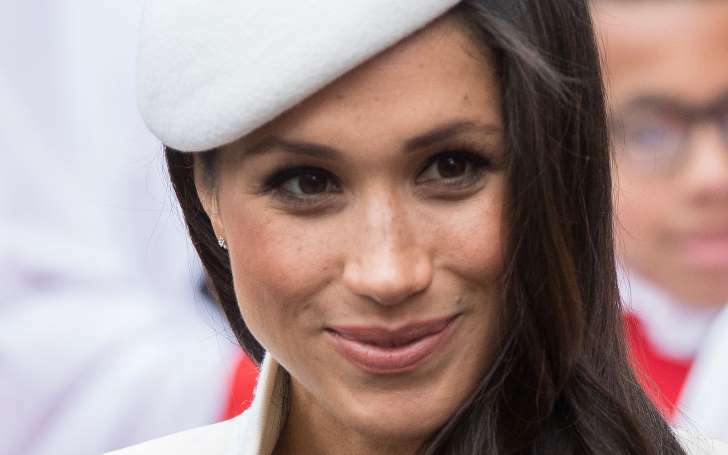 The actress wore a white beret to the service created by hat-maker Stephen Jones, who's known for producing a variety of berets for Princess Diana during her 20s. Markle also donned a brown beret to the Christmas Day Church service with the royal family in December. Markle accompanied the royal family to Westminster Abbey, where the royal wedding will take place next summer, for the celebration that included some 2,000 other guests, according to NBC. With a theme of “Towards a Common Future,” the occasion brought together leaders from 53 independent countries that participated in speeches, discussions of traditional hymns and readings, and performances from British artist Liam Payne. The Queen is the head of the global Commonwealth network and has been throughout her 66 year reign, continuing the historic tradition this year.